Spring time. 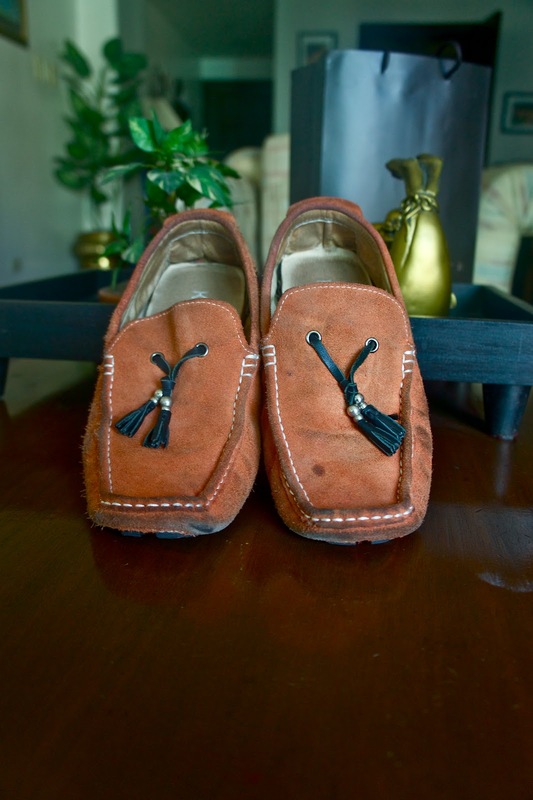 Time to bring out the colorful loafers, khaki shorts, and summer shirts. At least here in the Philippines; where the months of April and May are the hottest. 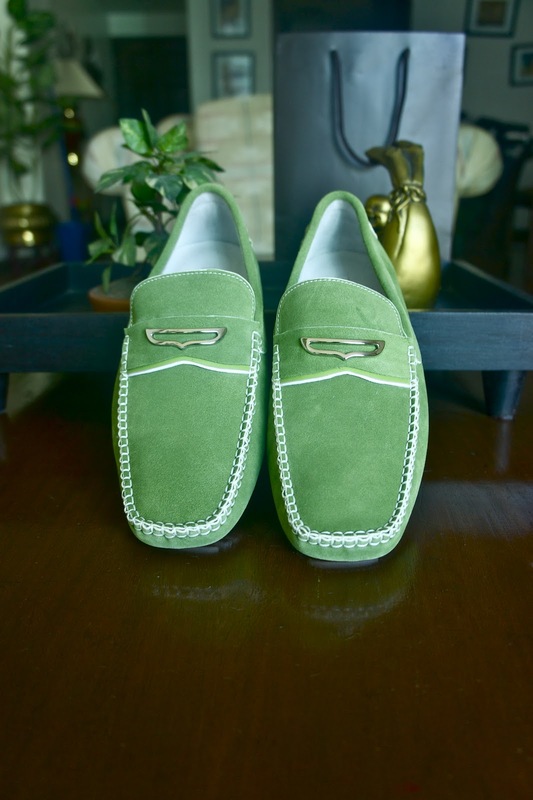 I am retiring my old orange loafers that I bought from Traffic last year and I am replacing them with new Green ones from Pedro. BTW - I went shopping with Midori. 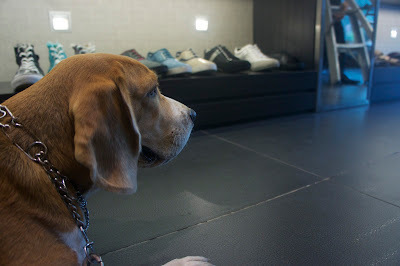 The Pedro shop at Bonifacio High Street ( as well as all other shops operated by Bench ) allow dogs inside their stores. 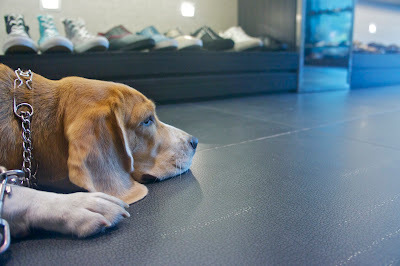 Midori is actually mistaken for a Basset Hound by a lot of Filipinos and she's usually called a Hush Puppy. 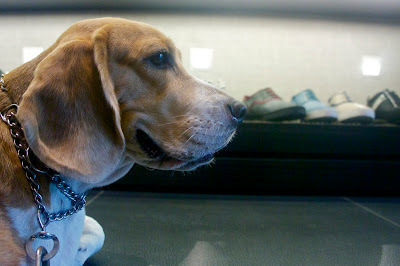 Well - she's not a Basset Hound --- so I think having her picture taken with these fabulous shoes from Pedro is an attempt to say "I'm not a Hush Puppy." Midori, you are so lucky you get to go shopping with your dad! The stores here aren't that nice to dogs. I'd go everywhere with mom if I could! Hi Laney. I'm sad to hear that you don't have dog-friendly shops where you live. Here in Manila - it's actually a recent development. It wasn't like that before - but now - more malls and shops allow dogs in their stores. Of course - it goes without saying - you need to be a responsible pet owner and make sure you clean up after your pet.